The United Liberation Front of Asom – Independent (ULFA-I) has refuted the claims made sections of media that the self-styled commander-in-chief Paresh Baruah has succumbed to his injuries in a road accident. 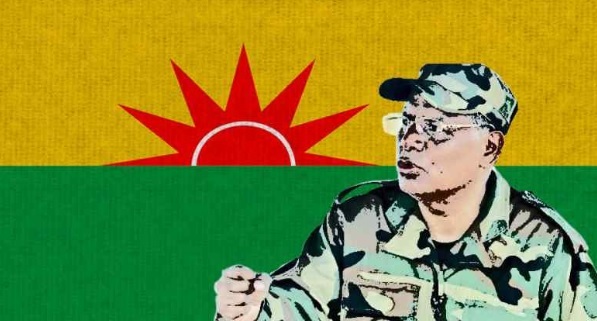 In a press statement issued to the media on Wednesday, the ULFA-I has clearly stated that Baruah is ‘safe and sound’ and that he has not met with any accident. 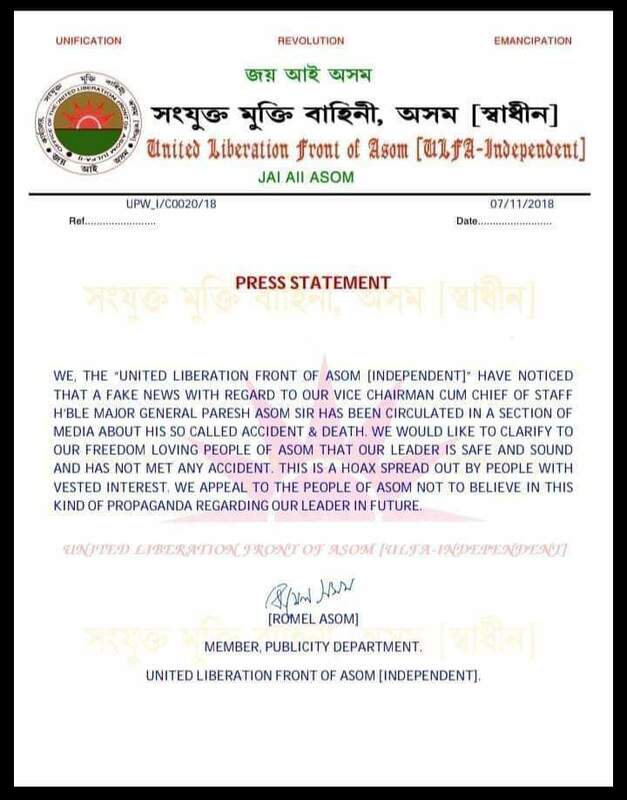 The release further appealed to the people of Assam not to believe in this kind of propaganda regarding the leader of the militant outfit. Northeast Now had earlier quoting a report of Lookeast.in, an online news magazine had reported that the the self-styled C-in-C had died succumbing to injuries that he had sustained a week back along China-Myanmar border. The report in the online magazine lookeast.in had stated that Intelligence agencies have picked up ‘inputs’ about Paresh Baruah succumbing to grievous injuries in a road accident along China-Myanmar border. The lookeast.in report, however, claimed that Intelligence officials were tight-lipped over the whole matter, claimed that reliable sources had ‘picked up’ information about Paresh Baruah’s accident about a week ago through SIGINT (Signal Intelligence) sources which were corroborated by HUMINT (human intelligence) sources. Intelligence reports, according to lookeast.in have inputs that the self-styled C-in-C of ULFA-I had fractured several ribs and a leg in the road accident. Though the exact spot of the accident is not known, but is said to be around Ruili on the Sino-Burmese border, the report claimed. The lookeast.in report further quoted a senior intelligence official who refused to be named as saying that the accident is ‘confirmed’, but the intelligence agencies are cross checking on inputs that Paresh Baruah has succumbed to his injuries. The report further stated that the ULFA-I C-in-C has been frequenting Ruili since fleeing Bangladesh around nine years ago. 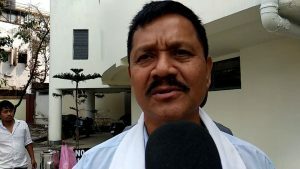 Meanwhile, pro-talk ULFA leader Anup Chetia has also refuted the claims asserting that Paresh Baruah had an accident around three months back where he had fractured two rib-bones and the thumb finger of his right leg. Chetia claimed that the ULFA-I C-in-C had informed the former about the accident over phone and that he was fine after that. Chetia also said that Paresh Baruah had called him up even after the Dhola massacre just couple of days back and that he was fit and hearty. Director General of Police of Assam, Kula Saikia had also claimed that the Assam Police has no information regarding the incident.